This copy contributed for use in the USGenWeb Archives. List of the .pfd files in the USGenWeb archives. Suggested for those with DSL or cable modems. NEW 7/2002 Master Index in smaller size files. Thanks to Maria who did these especially for the USGenWeb archives. and directions for using the files. Cemetery. About 4,817 interments total. modem at 5 kbytes/sec download rate. and are now available to facilitate downloading. File sizes are listed above. the interments buried in their lot. direction of each row and lot numbers. & section notes and acknowledgements. read are located in the Section Notes. 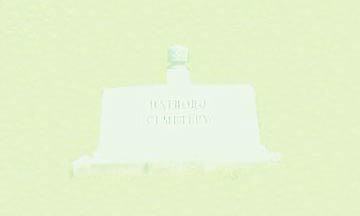 from the listed Hatboro Cemetery Burial Records. 2. Acrobat Reader(TM) should automatically open the file. TOOLS > FIND from the menu.